When we moved to Sanbornton NH 5 years ago we had an Ospreys nest almost in our front yard. We had visitors from all over the state coming to just to view the bird and there chicks up close. 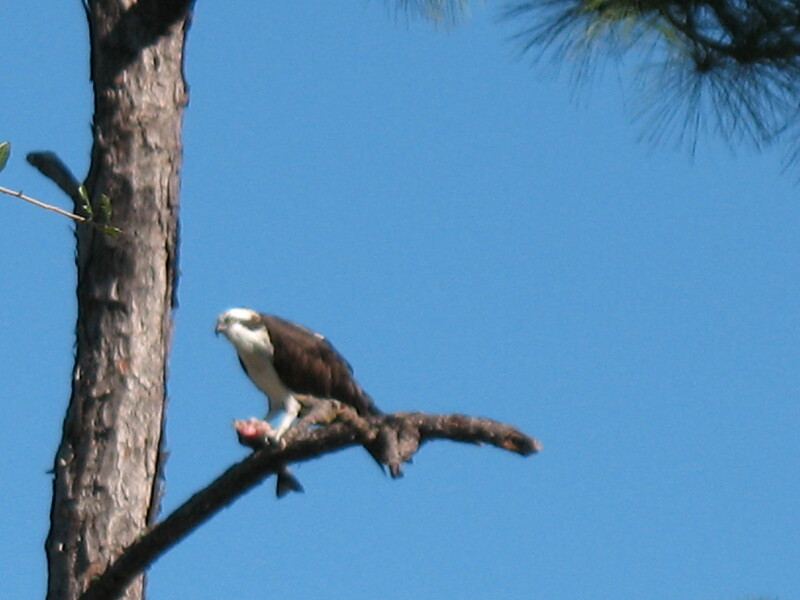 We live in the perfect location for Ospreys to live. We are on Hermit lake that is loaded with bass, pickerel, perch along with otters that I wrote about in an earlier story. The real draw for the Osprey is not Hermit Lake but the State of NH trout hatchery just up the road, why work for a meal when the state makes it so easy. On our recent trip to Florida I saw what looked like a Bald Eagle in a tree behind where we were staying. When it turned I realize that it was an Osprey, maybe the one from Sanbornton as they do migrate. Most ospreys are migratory birds that breed in the north and migrate south for the winter, just maybe we have our neighor to the north visiting us in the south also?